Here’s a photo I took at Versailles in February (2008, I think). 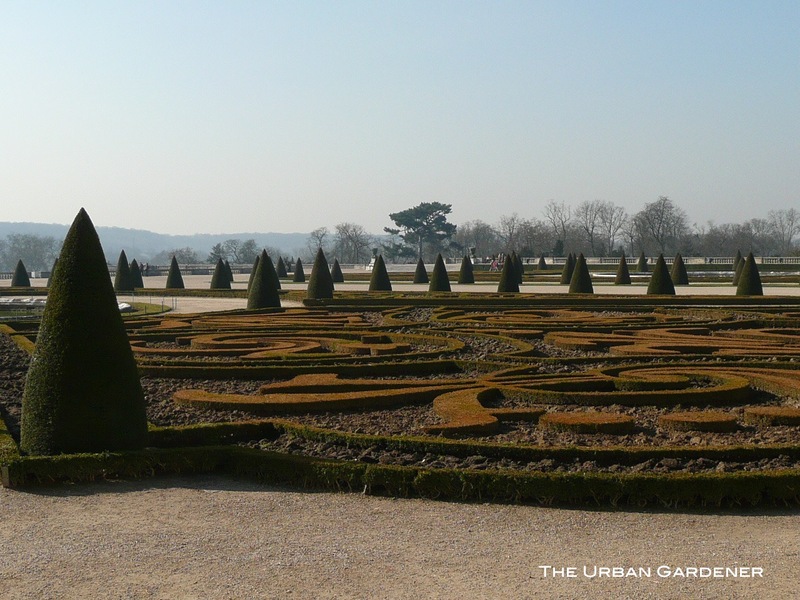 Versailles is a good example of those formal garden bones. The boxwood with the crushed stone walkways provide structure. Imagine this garden covered in snow. Now think of this garden in high summer with every inch between those boxwoods planted with bright red geraniums. In any season, the bones of this garden are powerful enough to draw viewers to the window from inside. Even enough to distract the indoor visitor away from a gigantic French palace. Want to chat more about garden bones? Join us tonight (December 14) on Twitter at 6pm pacific time. Look for the hashtag #gardenchat and jump right in.